I’m trying to figure out if it is an enantiomer, diastereomers, structural isomer, or meso compound. 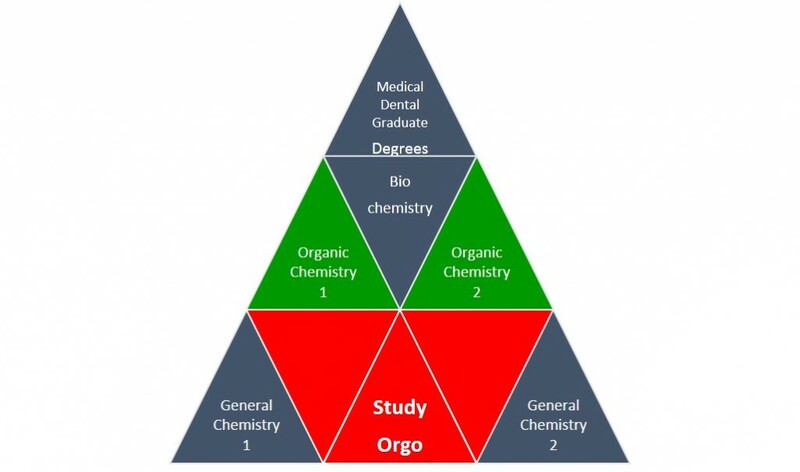 Here at StudyOrgo, we frequently get questions about topics in organic chemistry that are usually quickly covered, poorly described or expected that you know from previous courses. These concepts are really important to understanding the more complex topics to come. 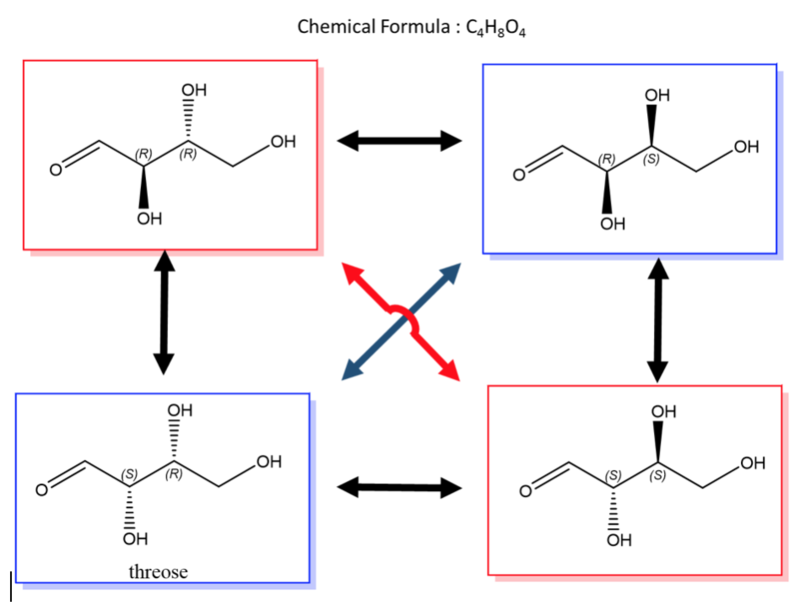 In this article, we will cover the concepts of stereochemistry to review the basics and look at some specific examples. This is just a preview of the detailed topics and materials available with your membership to StudyOrgo.com. Sign up today! 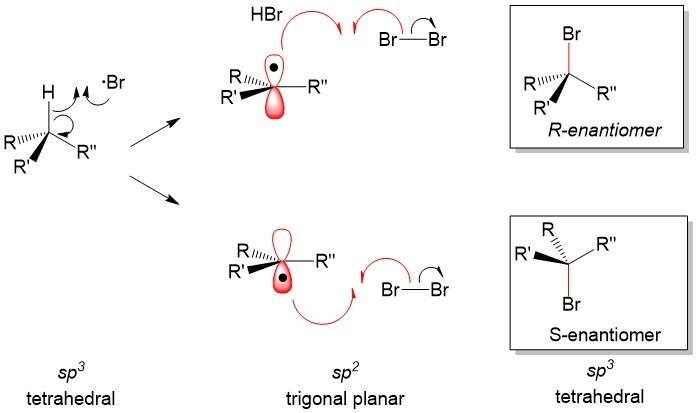 Structural isomers, or constitutional isomers, are molecules with the same chemical formula but different connectivity, they literally do not look alike. For a carbon center (referred to as a stereocenter), this requires bonding to four different substituents! If they are mirror images, they are enantiomers. If they are not mirror images, then they are diastereomers. Remember, you can use R and S configuration can help distinguish this. 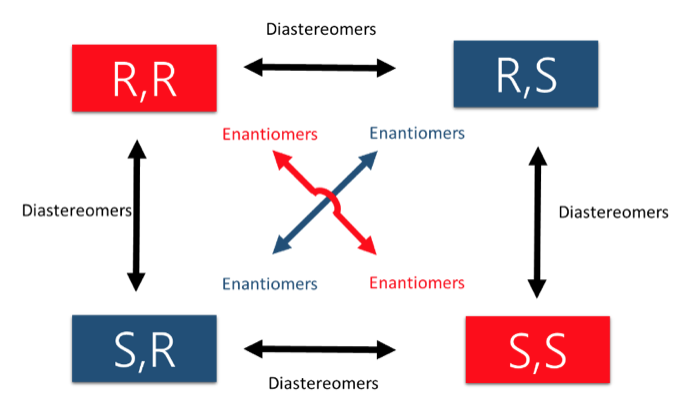 R,R would be the enantiomer of S,S. But both R, S and S,R are the diastereomers of R,R. 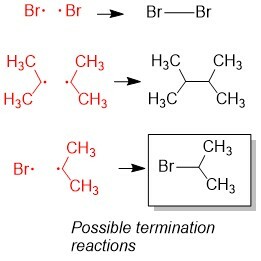 Compounds that contain stereocenters but have a plane of symmetry across them (such that they have a mirror image of itself somewhere) are referred to as meso compounds. Take a look at tartaric acid, it has two stereocenters but the blue box represents an axis of symmetry that makes the compound meso. The usefulness of this is that proteins (the drug targets) are also chiral, so they need chiral drugs to affect them. If the compounds are not chiral, they will not interact with the proteins correctly. 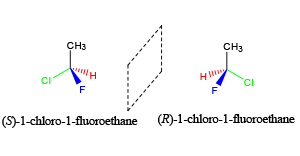 For synthesis, if the compounds are not chiral, they will not rotate plane polarized light, and will be called “optically inactive”. 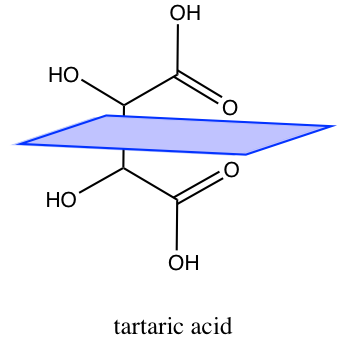 If you only have one stereocenter then the non-superimposable, mirror image of the compound is the enantiomer. In order to have diastereomers, you need more than one stereocenter. Sugars (saccharides) are the best example of this. Look at glucose, it has 4 stereocenters. The mirror image is the exact opposite configuration, so there is only one enanantiomer for glucose, but there are 7 diastereomers! Use the chart above to help you with R & S nomenclature and how that relates to enantiomers and diastereomers, this is how you will frequently encounter them after the first exam. Look for planes of symmetry to identify meso compounds.